We are witnessing the continuing process of transformation of the Trump Presidency into the National Security Presidency under Trump. The “Trump Transformation” follows the “Obama Transformation”. They can also be called the “mini-revolutions”. I think we are witnessing the continuing process of transformation of the Trump Presidency into the National Security Presidency under Trump, which is his only rational choice and his only salvation, that’s how it looks like. Unless he sabotages them in a self-defeating fashion. The military people saved him in his adolescence, and they can save him now if only he cooperates and plays the game, which he is willing to do. It is possible that the further process of “normalization” will include the decline in influence and the eventual easing out of both Bannon and Kushner. “But it’s unlikely that the generals will consistently rein in Mr. Trump at the strategic level. Gen. Joseph Dunford Jr., the chairman of the Joint Chiefs of Staff and therefore, on paper at least, the president’s primary military liaison and adviser, rarely has one-on-one meetings with Mr. Trump. 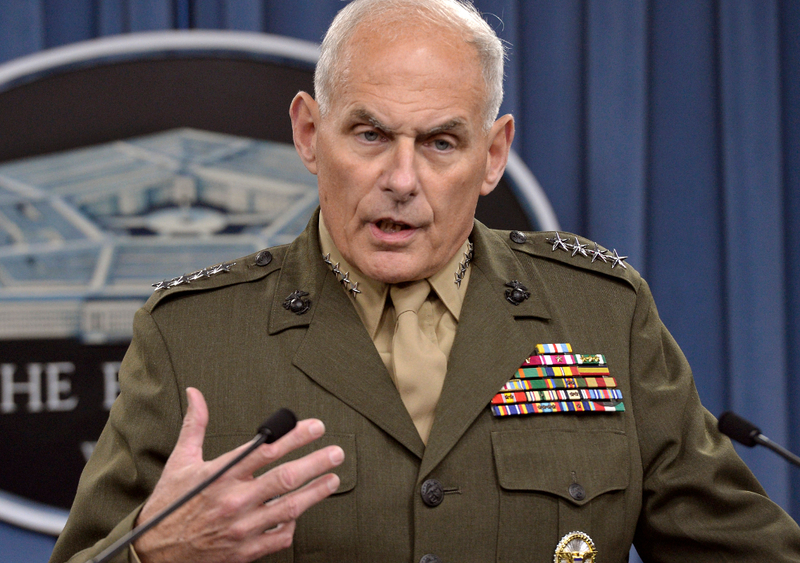 Mr. Kelly, a former Marine general who had served as his secretary of homeland security and whom many had hoped would temper the president on immigration, apparently shares Mr. Trump’s policy views and seems disinclined to challenge him. Now, after this appointment, the realities and their perceptions might have changed. Some reality challenged and metaphorically inclined observers might even perceive this situation to be as close to the declaration of the military emergency as it can get in America, after the series of the continuing palace mini-coups. The others might see it as the encouraging signs of adjustment to reality, or perhaps, even the preventive security measures of the “deep state”. And for the third “camp”, it is nothing but the plain old fashioned common sense. “It is now Mr. Kelly’s job to give it a try”, NYT says.